A lot of the posts here lately have talked about brand campaigns and making sure the work ladders back. Yes, these points are a bit of an obsession for me. Why? Because there’s something powerful about holistic work where all channels align and work together. As I’ve been thinking about these things, I wanted to find an example of a strong brand campaign from a team that was more than one moment in time. So often teams launch a strong hero piece a the beginning of the season to never tap into the narrative again. As @stephensonmc put it, a strong campaign and narrative is one that extends, evolves and sustains across channels. Hype video for the 2018 playoffs. First, it’s rooted in insight. Strong campaigns are rooted in insight. They start with a brief and understand of what the message needs to convey. Creative work and campaigns should have a reason for being, well beyond a tagline and the hope to make a splash at launch. Hosford says there are three key things Stand Witness is meant to embody: 1) Celebrating the past, 2) looking ahead to the next 100 years and 3) signaling change. The point isn’t to close a chapter in Leafs history, she explains, but rather to turn the page and be a part of the next hundred years to come. Second, it’s a long-term narrative over a splash. A friend in the industry, Evan Zeller, taught me something about brand work that has really stuck with me: It’s less about a campaign and more about the brand narrative. Essentially, in many instances, brand campaigns are thought of as a moment in time. Often these moments don’t ladder up to a larger message. One season a team is talking about grit and the next they’re talking about brotherhood. Tactics and executions end up becoming fragmented, and in the end, dilutes the message. 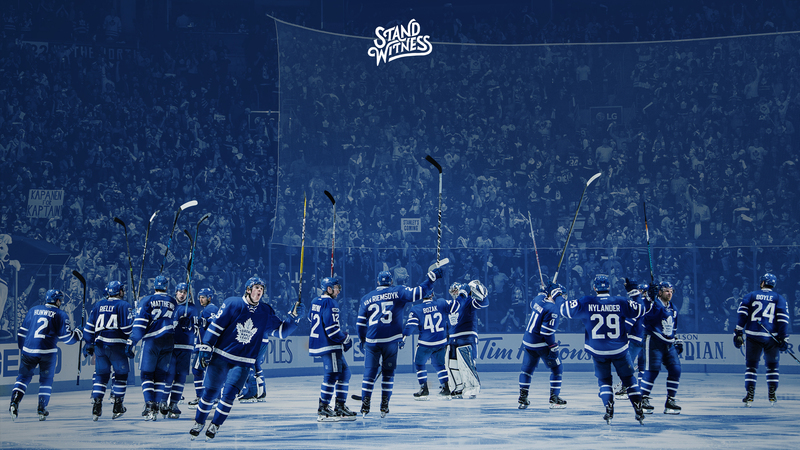 #StandWitness was created with the idea that this is something that could carry on well beyond the start of their 100th season. Their team clearly put thought into the concept and how it could evolve with time. 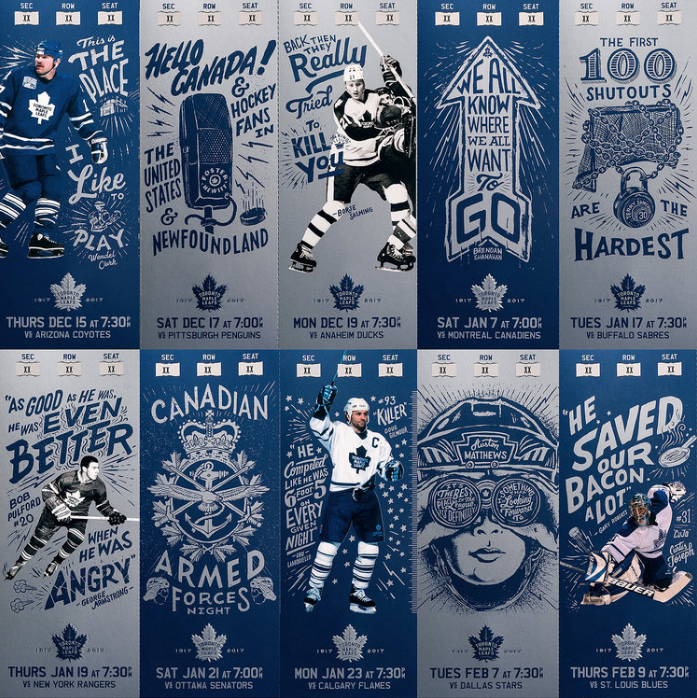 It would have been easy to create a hero spot commemorating their 100th season and walk again. But instead, the Maple Leafs leveraged this moment as an opportunity to remind, re-engage and articulate in a meaningful way what the franchise is all about. We have to shift our thinking with brand work to be less seasonal and more long-term. Consumers see so many messages today that it’s imperative we have a sharp point. What about our brand do we want to convey? This is long-term work. It’s not something where success happens overnight. If we shift our thinking from a campaign to a narrative, then all work will ladder back to the brand’s messaging hierarchy. This does not mean that all creative will look exactly the same. But, it does mean that all work will ladder back to the brand message strategy. Third, it has legs to evolve. If all work is going to ladder back up to a singular brand narrative then the idea must have the capacity to talk on many forms. It must be narrow enough to be ownable for the brand but scalable enough to come to life in different ways. 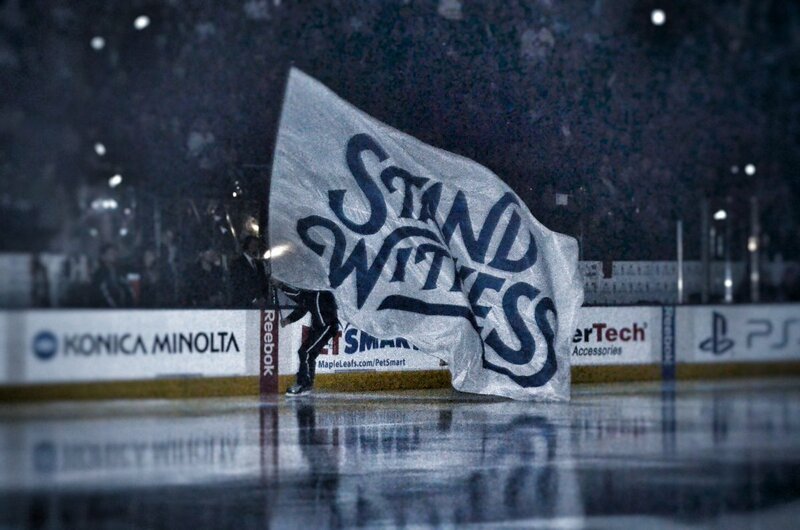 StandWitness has worked so well because of its scale. 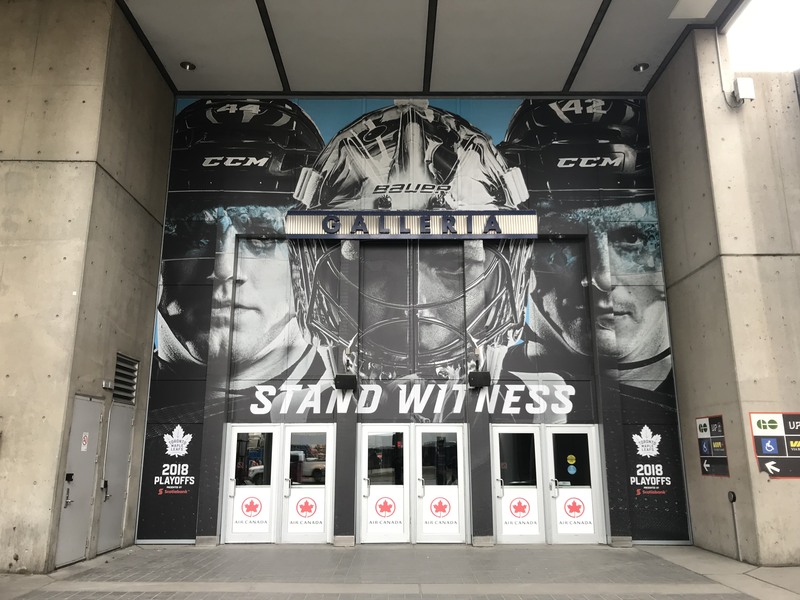 Whether the team is talking about the draft, the start of the season or a Stanley Cup run, #StandWitness works as the message. #StandWitness works in moments. It can ladder back to social content franchises. And, it can evolve and stay fresh. In order for this idea of a brand narrative — and one that sustains — to work, the idea must have the ability to ebb, flow and evolve with the storyline of the team. And, the team must put it in the work to understand how it will come to life in all the different forms and fashions. And finally, it has all the feels. The best ads don’t feel like ads. They don’t scream buy tickets and focus on a transaction. Instead, they tap into emotion. 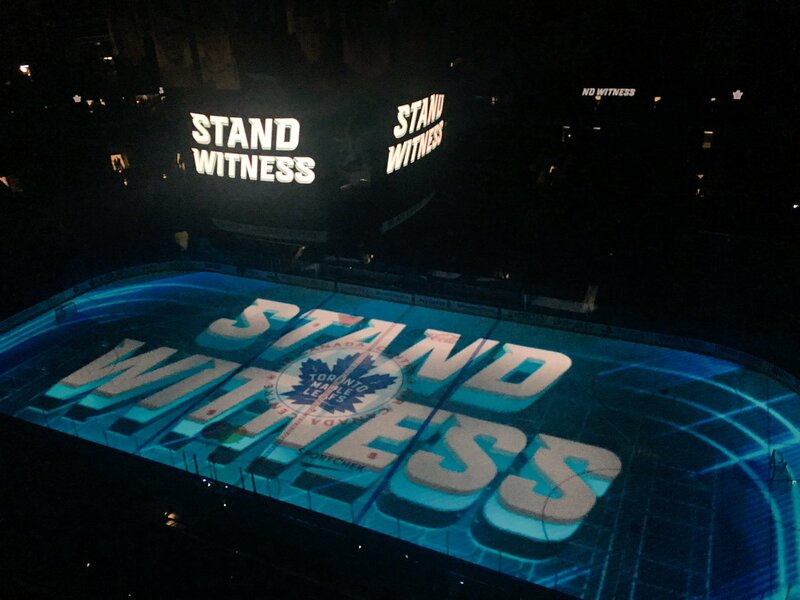 StandWitness is a campaign that took into account what Maple Leaf fans have been through. It walks up to the tension and the truth that there has been highs and lows — and that tension makes an impact. Emotion is one of the most powerful tools we have as marketers. And, the power of emotion in sport is something that should not be taken for granted. A great brand narrative evokes a share of emotion. Tap into it. Our job is not to cover the team. Our job is to bring the brand to life. 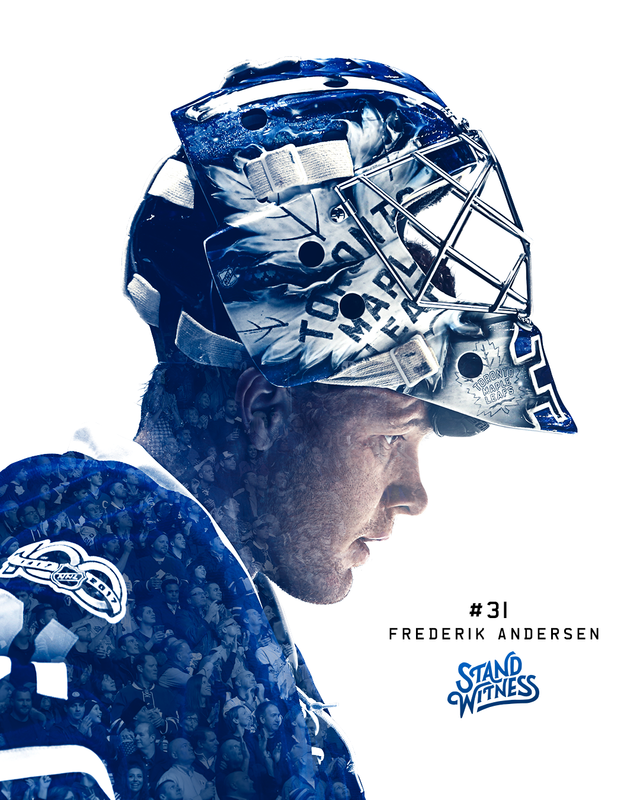 Brand work like #StandWitness is a true case study for what an integrated and sustaining campaign looks like. And one that will more the needed in the long run over one moment in time. More of this in sports, please. What other brand work have you seen from team that inspires you? Share below, and as always, thanks for reading!